The Lexmark XM1145 multifunction printer packs more advantageous features than ever before into this high-performance model. The compact design helps save precious space in the work environment, while the machine is still powerful enough for ultra-fast printing and copying up to 45 pages per minute. It is also capable of superior scanning capabilities in monochrome and color, as well as flexible scan destinations and formats. 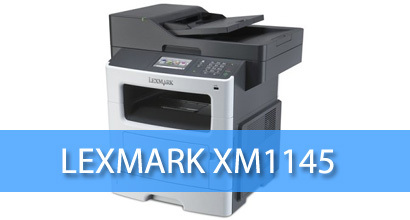 Equipped with state of the art security features, the reliable Lexmark XM1145 boasts industry-leading access restrictions, secure data encryption, and disk wiping. The highly secure printer proactively tracks and identifies all security risks for optimal protection. 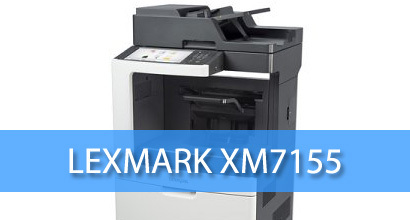 With intelligent time-saving features and powerful print speeds, the Lexmark XM5163 is capable of making your workday more efficient and productive. The lightning-fast printing and copying output speed of 63 pages per minute will never let your documents slow you down. The rapid high-quality scanning in monochrome and color boasts flexible scan destinations and formats for optimized workflow. The optional hard disk supports some exceptional advanced features, including on-screen scan previews and one-touch operation. 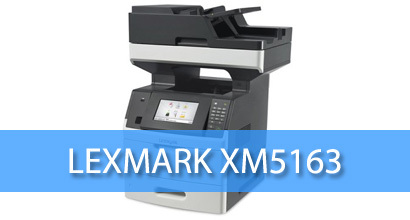 When you purchase the Lexmark XM5163 from Arizona Copier, your business will benefit from endless customizable options to meet all of your needs. The Lexmark XM7155 multifunction printer and copier include unique technology features to help your business save time, energy, and money easily. The Lexmark XM7155 high-yield print cartridges boast yields up to 25,000 pages, the eco-mode reduces power consumption, the rapid printing and copying produces up to 55 pages per minute, and the embedded duplex printing cuts down on paper usage. Energy star compliant, this Lexmark model helps reduce business’ carbon footprint, but also increases business productivity with a maximum input capacity of 3,300 sheets ready when you are. The Lexmark XM7163 multifunction printer boasts a rapid printing and copying output speeds topping 63 pages per minute. The easy to use Lexmark model comes with an embedded 10.2-inch large touch screen with both audible and tactile feedback for simple navigation for all team members. 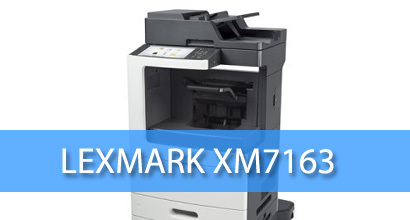 The powerhouse of the Lexmark XM7163 consists of a dual core 800 MHz processor that provides 1024MB of memory, with the additional option of adding up to 3072MB of memory. For two-sided production, the standard duplex printer, copier, scanner, and fax machine can handle up to 2,750 sheets of capacity. Excellent paper handling combines with flexible connectivity options from the front direct USB port and compatibility with all popular operating systems. 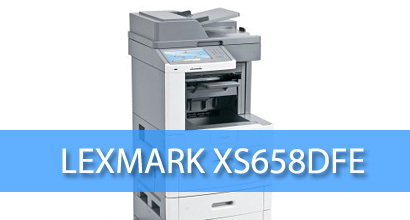 With a powerful printing speed of 55 pages per minute, the Lexmark XS658dfe is a heavy-duty copier, printer, scanner, and fax machine that can take your business to new levels. Arizona Copier can help you realize the outstanding productivity features of this unit that provide superior color scanning, instant warm-up technology, up to 1280MB of memory, and extra high-yield toner cartridges. The customizable touch screen control panel of the Lexmark XS658dfe offers a large 9-inch color display that is as simple as a swipe of the finger.